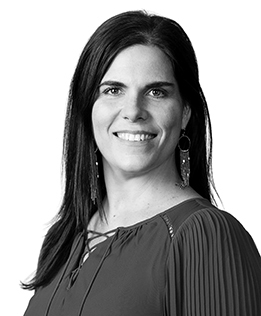 Over the past 15 years at GCG, Marcy Uhrig has developed extensive experience in data management, data reporting, and claims maintenance and reconciliation while managing some of GCG’s largest bankruptcy and restructuring administrations. She has played a pivotal role in the development and expansion of GCG’s bankruptcy group, and has been instrumental in the design, development, and implementation of leading-edge technology initiatives, including online claims filing and a customizable inquiry management system. With a chapter 11 caseload that has included cases such as AMR Corporation, et al. (American Airlines), Inc.; Federal Mogul Global, Inc.; and Motors Liquidation Company, et al. (f/k/a General Motors Corp, et al.) , Ms. Uhrig is responsible for the noticing, claims administration, and communication aspects of GCG’s cases, and also collaborates closely with her colleagues to conduct solicitations and distributions. In addition to her work on bankruptcy cases, Ms. Uhrig managed all aspects of GCG’s engagement in the Mutual Benefits Corporation receivership, and related Union Planters Bank escrow disbursement. She is currently leading GCG’s charge in the high profile Health Republic Insurance of New York Liquidation Administration. Before joining GCG, Ms. Uhrig served as the Director of Consumer Affairs at American Family Enterprises, where she reported directly to the General Counsel. During her time at American Family Enterprises, Ms. Uhrig gained first-hand knowledge of the chapter 11 process from the perspective of the debtor, as that company prosecuted its own chapter 11 bankruptcy. Ms. Uhrig is fluent in English, Spanish, and Portuguese. Building Materials Holding Corporation, et al. Federal Mogul Global Inc., et al. Regus Business Center Corp., et al. Star Tribune Holdings Corporation, et al.